POLITICAL TIDBITS: Lipa Archbishop Arguelles severs ties with PPCRV over perception of its lack of objectivity re polls. Recent investment-grade rating from Fitch “of no consequence” if SMEs, which employ bulk of poor low-income folks, are not helped to more loans to grow, says AIM Policy Center exec-director Ronald Mendoza. LGUs’ corrupt practices share blame for PH's lagging FDIs. 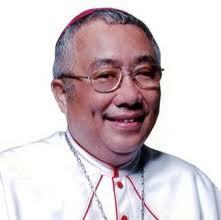 Lipa Archbishop Arguelles severs ties with PPCRV over perception of its lack of objectivity re polls. Recent investment-grade rating from Fitch “of no consequence” if SMEs, which employ bulk of poor low-income folks, are not helped to more loans to grow, says AIM Policy Center exec-director Ronald Mendoza. 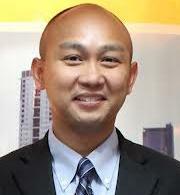 LGUs’ corrupt practices share blame for PH's lagging FDIs. The recent decision of the Archdiocese of Lipa, one of the country’s biggest, to cut links to the PPCRV led by former Ambassador to the Vatican Henrietta De Villa was not unexpected. Arch. Ramon Arguelles said the Lipa clergy decided to sever its links with PPCRV as there are clear manifestations that the PPCRV---an electoral watchdog of Comelec but Church-affiliated in that its volunteers come from parishes and Church organizations around the country---may have lost its neutrality as election watchdog. Lipa’s move comes in the wake of earlier action of CBCP’s National Secretariat for Social Action (Nassa), headed by Manila Auxiliary Bishop Broderick Pabillo, to drop its links with PPCRV due, said the latter, to PPCRV’s “refusal to coordinate with” the people of Nassa for election monitoring activities. Reports said other dioceses are contemplating a move similar to Lipa’s. I must confess that I found PPCRV’s congratulatory support for Comelec’s AES elections in 2010 too fast too soon, even as this watchdog, then head of the triangular team that conducted the Random Manual Audit (RMA) of those elections, moved too slow too little in completing that crucial post-election function. Instead of completing RMA in 15 to19 hours after close of the polls as mandated by law, the PPCRV-led team finished only 75 percent of the job in a month, which made that costly effort totally useless. A few months back PPCRV was also too eager to congratulate Comelec for the one and only mock election for 2013--- despite very serious misgivings CBCP expressed in its Pastoral Letter of Jan 28, 2013 on Smartmatic’s PCOS machines and flaws of the AES, which showed up at that mock election. De Villa continues to enjoy some support within CBCP, notably from its President, Cebu Archbishop Jose Palma, in his recent letter to IT/citizens groups very critical of PPCRV’s political leanings. This is lamentable, but from what we hear, more bishops are really giving PPCRV a second critical look. They should. The Philippines recently achieved a milestone in local economy when it received an upgrade to “investment-grade” rating from international credit-rating agency “Fitch Rating”---its first in decades. The administration is naturally ecstatic---as it comes after a spate of unfavorable and widely criticized developments such as the mishandling of the Sabah crisis, the appointment of a Comelec commissioner who did not deserve it, and indirectly, the suicide of UP Manila student Kristel Tejada which was blamed on the administration’s drastic cut by P17 billion of the budget of state universities and colleges last year. But appreciation of the investment-grade rating has to be put in proper perspective. First it must be noted that Fitch has categorically credited former President Gloria Macapagal Arroyo (who celebrates her birthday tomorrow) for the improvements in fiscal management, which, in turn, made general government debt dynamics “more resilient to shocks.” And indeed there were quite a bit of those shocks in the massive world recession in the second half of GMA’s nine years in office. ﻿﻿﻿﻿﻿﻿There have been a number of analyses of the Fitch upgrade, but I found AIM Policy Center Executive Director Ronald Mendoza’s recent article, “Does investment grade matter for inclusive growth?” quite balanced and thorough. I’ll try to highlight the major points in his paper. First, the good news. As Dr. Mendoza put it, this investment-grade rating could result in lower cost of borrowing---a possible boon to the public sector which does a lot of borrowing, as well as to firms with access to international finance. It could also bring in the much-longed for increase in domestic and foreign investments, which would promote “inclusive growth” ----e.g., by lending to the small and medium-scale enterprises (SMEs) that employ poor and low-income people, and to the agricultural and manufacturing sectors that also absorb folks in these categories. In other words, it could help alleviate the grinding poverty and joblessness especially in the rural areas. But this is where some of the questions about the recent rating upgrade come in. For as Mendoza argued, as of end 2012, about 1/3 of outstanding corporate loans by universal and commercial banks went to firms from the real estate, financial institutions and business service sectors. In contrast, only a meager 6% went to the agricultural and forestry sector (in the rural countryside) and about 19% went to the manufacturing sector. And in both cases, much of these loans probably went to the larger firms rather than the SMEs that provide jobs to the poor and low-income groups. This reality is beefed up by the study of the Philippine Institute for Development Studies that as of September 2010, banks’ total loans to SMEs amounted to about P290 billion--only a meager 9 percent share of the total banks’ loan portfolio then. But the bigger problem which needs to be addressed, points out Dr. Mendoza, is that PH continues to bag such meager foreign direct investments (FDIs), compared to other countries in ASEAN, Latin America and Africa---a good number of which, unlike PH, do not have “investment-grade” rating. For instance, in 2012 PH netted an FDI inflow of roughly $2 billion---already an improvement over its previous average yearly net FDI inflow of about $1.5 billion, but still meager compared to those bagged by our neighbors. He also noted that in Latin America Argentina had a net FDI inflow of $11 billion in 2012 while in Africa Egypt netted $3.5 billion despite all the turmoil there and the fact that they both have lower credit rating than PH. Clearly our country is not doing something right in terms of FDIs, and it’s imperative for our economic planners to find out what’s wrong despite the steady credit upgrade. As Dr. Mendoza put it, “many other things go into the decision by foreign direct investors, and a country’s credit rating is not the only factor (nor necessarily the most important factor) in triggering the kind of investments we’re interested in." What are the investments we want? a). The “NOT speculative " kind (i.e., not just into stocks that come in and out of the market---BOC), b). but those that put fuel into our job-generating engine; c). that go into SMEs to make sure that the jobs benefit many poor and low-income underemployed workers, and d). investments in the agricultural sector that help strengthen our productivity, food security and help de-concentrate the onus of growth in urban centers. De-concentration at this point, however, remains a pipe dream, for as Economic Planning Secretary Arsenio Balisacan laments, about 60 percent of GDP is concentrated in only three areas of Luzon. Mendoza asserts that the investment-grade rating PH recently won would be "of no consequential effect" if it does not help the SMEs that comprise the bulk of the PH production sector. In fact, he says even the trickle-down of cheaper credit will be “just that---a mere trickle”---if banks do not lend to SMEs. By contrast, in ASEAN countries, “SMEs account for well over 90% of all enterprises, employ anywhere from 50% to well over 90% of the workforce, and contribute around 30% to 80% of the GDP.” In fact, he stresses that so important is the role of SMEs that many developing countries have made the SMEs' development one of the priorities of their economic agenda. Unfortunately, despite their importance, Mendoza asserts that SMEs continue to face various obstacles that hinder their growth and prevent them from being truly competitive---so that many firms remain small and informal. He cites “the efficient provision of public goods, the reduction in red-tape, corruption and onerous business registration procedures, and an altogether better regulatory and investment environment” that can help boost competitiveness and competition. As he put it, we need an environment that’s friendly to doing business if the SMEs would be able to expand, innovate and generate pro-poor jobs. This includes factors such as ease in starting a business, dealing with construction permits, getting electricity, registering property, getting credit, protecting investors, paying taxes, etc. Unfortunately, PH ranks low in comparative ease of doing business. A recent study of 185 countries by the World Bank on “Ease of Doing Business Index 2012” showed that Singapore and Hongkong rank 1st and 2nd, while countries like Cambodia, the Philippines and Lao PDR rank No. 133, 138 and 163, respectively. So what’s to be done to make our SMEs become more competitive and grow? Mendoza stresses an irony: while “inappropriate or irrelevant regulatory constraints also cause many firms to remain small and informal,” the fact is that the informal economy in PH is still quite large, accounting for over 40% of the total GDP and well over 70% of employment. This blogger agrees with Mendoza on how deleterious the role of LGUs can be and I cite not an SME but a giant multinational firm. On the eve of its exit from power in 2010, the outgoing provincial government of South Cotabato, led by then Gov. Daisy Avance Fuentes (who later ran for Congress) suddenly slapped a MIDNIGHT prohibition on open-pit mining by giant multi-national firm Saggitarius Mining---despite the Mining Law of 1995. With that single act the provincial board thus dumped in limbo the biggest single foreign investment in this country and this has seriously impacted on entry of FDIs since.